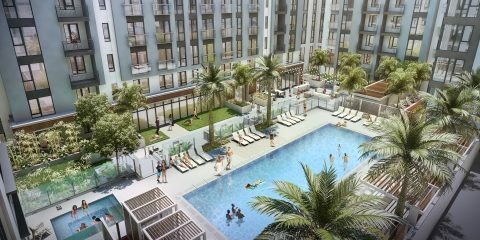 Rental apartment mid-rise that serves as the first phase in the development of a former parking lot in the heart of downtown Los Angeles. 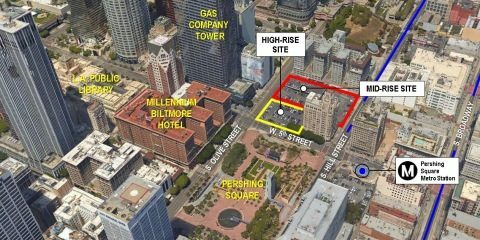 A seven-story residential building with street-level retail space being developed on a surface parking lot in downtown Los Angeles, which has emerged as a popular residential neighborhood and entertainment hot spot over the past 15 years, its population having grown by more than 30% since 2000. 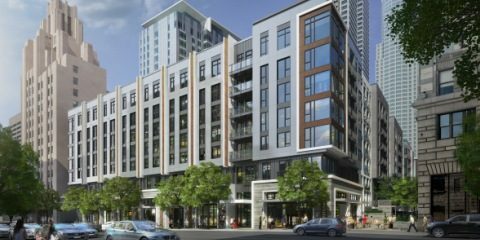 Adjacent to Park Fifth, a 24-story residential high-rise with ground-floor retail space that also is being developed by MacFarlane Partners.